Designed with 2 doors and 2 drawers with pencil legs are just excellent design on this buffet. 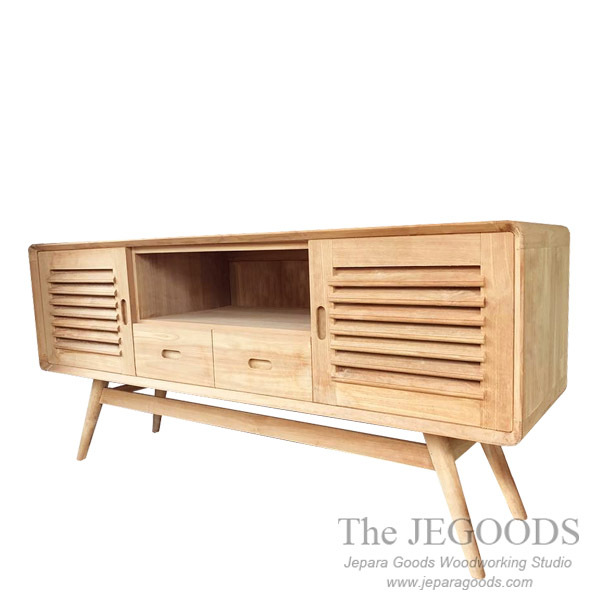 Teak 70s Buffet is made of solid teak wood and carefully hand-crafted by our skilled furniture craftsman in Jepara – Indonesia. Simple, minimalist modern look with following a concept of Retro Scandinavian style. Ideal as a feature piece in any home interior styles.